I finally have one, and she is all mine! 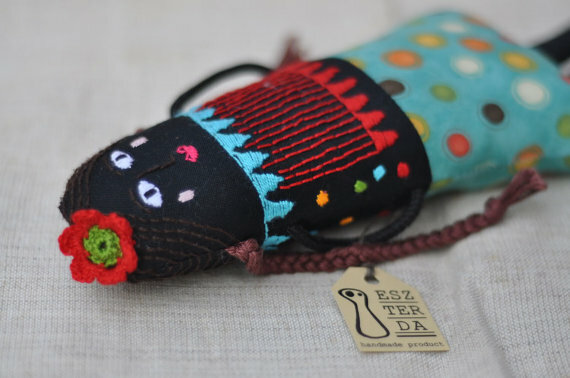 An Eszterda doll! I don't remember anymore when was it that I first saw her. It was probably one of those nights when I, after the house finally goes quiet, get lost in the infinity of the www. But I do know that I fell in love instantly. So much in fact, that I had to write to the creator immediately to find out who she was. And now, I will tell you too. 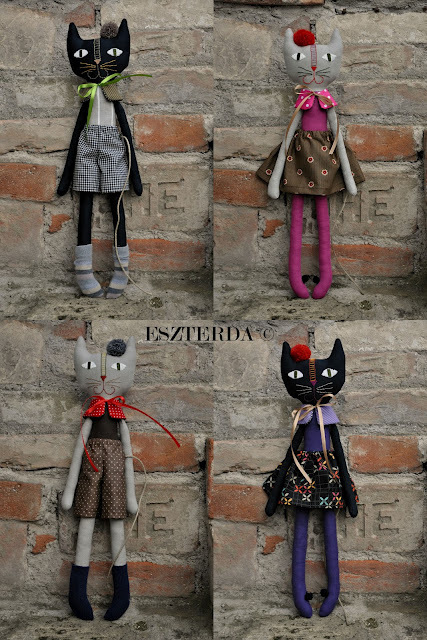 Eszter Dobó, the lady behind Eszterda dolls is a poetic soul. You can see that the moment you enter her blog. There is a little or no text there, only photography...but photography so beautiful it speaks to you right away. Even though she was always a creative being, Eszter's major ended up to be in economy. 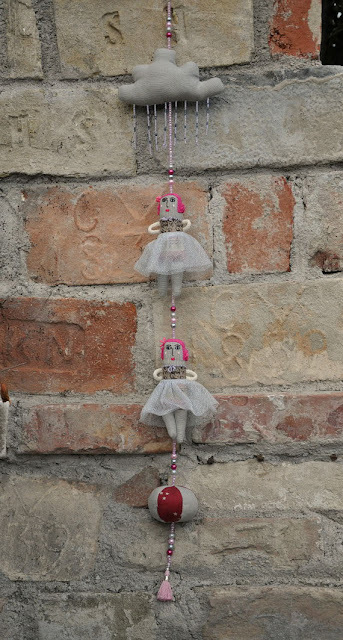 She did make toys and accessories for her daughters, but only after the third one was born she decided it is 'now or never' point in her life and started stitching for real. 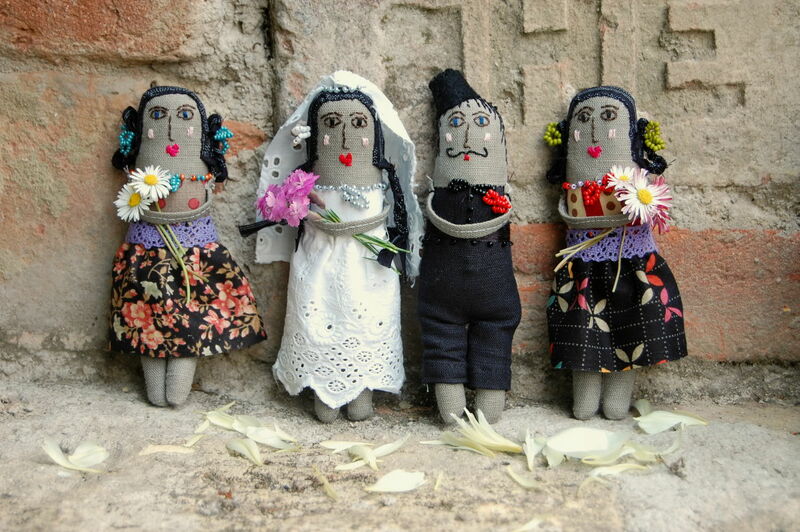 These dolls are hand embroidered and if you do let your kids play with one of those they can gain so much. First, and foremost, they will not choke on a plastic eye that got detached after 10 minutes of play. Seriously, the richness of colour, texture and the uniqueness of such a doll can only do good for them. Their beauty aside, a doll should be a doll, says Eszter. You need to be able to squeeze them, caress them, even dress them up or take to bed with you. 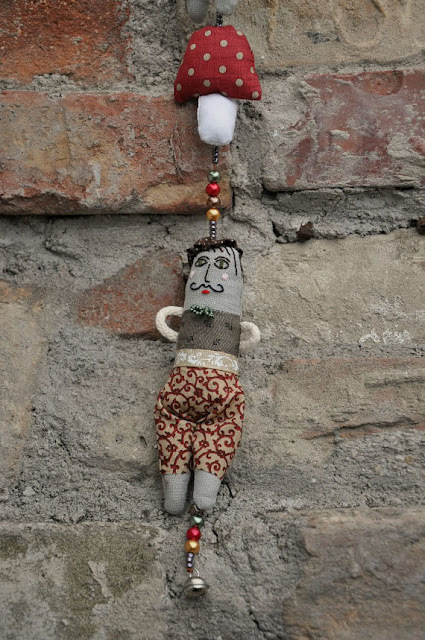 Eszter is obviously drawn to folk art motifs - Hungarian or other authentic ethno-cultures. Their charming naivety and tastefully primitive simpleness is what makes them so special and universal. Embroidery, as somewhat old fashioned form of decoration becomes modern and exquisitely attractive in her interpretation. As I've already mentioned, I love them beyond words and I know you will too. 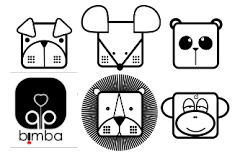 Like on facebook, and be sure to check out the beautiful blog regularly. All photos but the first one are courtesy of Eszter Dobó!